Bloodshot Bill (a bonfide Norton Records recording artist) is one of Montreal’s greatest exports this side of the Smoked Meat Sandwich. Although he’s done band and duo stuff to great acclaim, it’s his solo work that really brains you. Full on, flat out one-man-band aktion of a sort not often seen since Hasil Adkins took his last wild shot at a possum. shot at a possum. 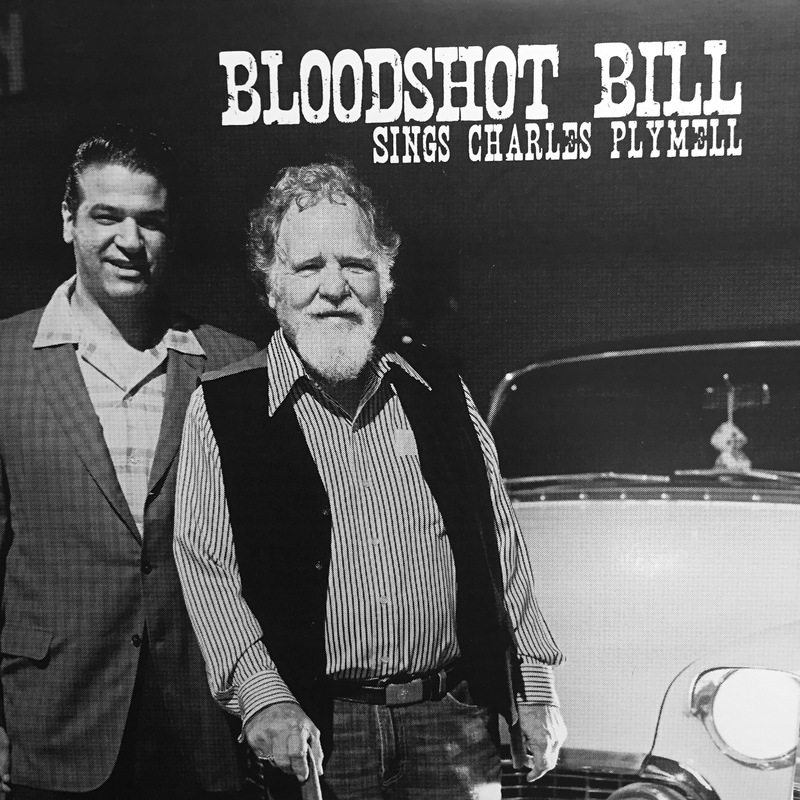 Because Miriam Linna, who runs Norton also runs Kicks Books, she was able to connect a few dots between Bloodshot’s hillbilly hunch and the equally wild words of Kansan born poet, Charles Plymell, the inventor of the Witchita Vortex if ever there was one. Bill decided to set a couple of Plymell’s poems to music. One is about Plymell’s ’50s running mate, Bob Braniman (“Rapid Ronnie Rap Back Jive”), gassing on then-legal pharmaceuticals amidst the Kansas hot rod/beatnick scene. The other (“Really Really Neal”) is about Plymell’s early ’60s roommate, the legendary Neal Cassady, and his lust for life. The meeting is a genius set-up, raw and beautiful as all get-out. The single’s sleeve and 16 page booklet were printed letterpress by Bill Roberts at Bottle of Smoke, and if you see a more essential 45 this season, well…we’d like to know what the hell it is. Only a couple of hundred copies. Get ’em now or weep for ’em later.